Jared Padalecki and SAXX. 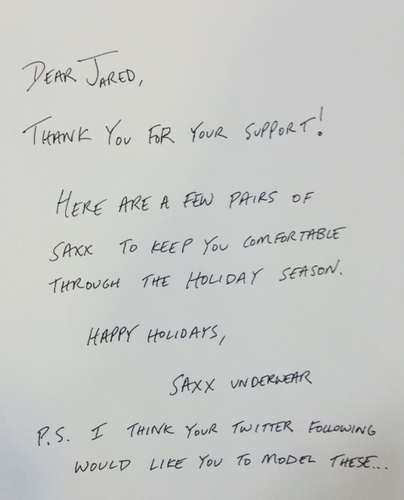 We just sent out @jarpad a few pairs of SAXX based on his 粉丝 suggestions and we included this note.. Wallpaper and background images in the 贾里德·帕达里克 club tagged: photo jared padalecki saxx. 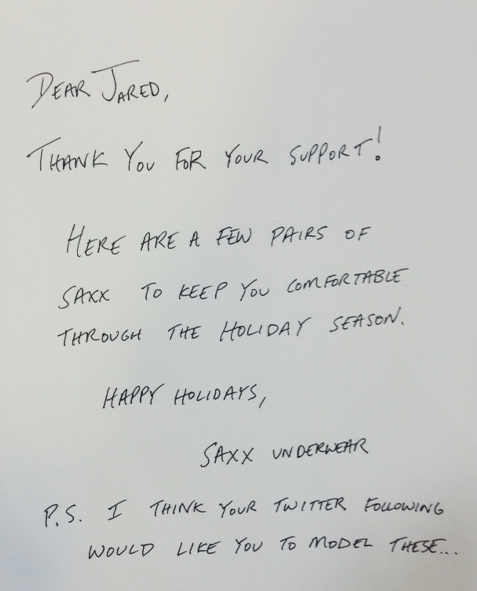 We just sent out @jarpad a few pairs of SAXX based on his 粉丝 suggestions and we included this note.